To anyone who is not familiar with the world of classical music, the terms “symphony” and “orchestra” can seem confusing. Especially since so many others around us misuse the two words. Let’s find out what the correct definition of each is and how they differ. A symphony is a word used to describe an expanded type of musical composition that implies the usage of a wide variety of instruments. It can be played in the context of an opera or as a stand-alone piece for an auditorium. The word comes from the Greek symphonia, which means a concord of sounds. It applies perfectly to the way in which string, brass, woodwind, and percussion instruments come together. 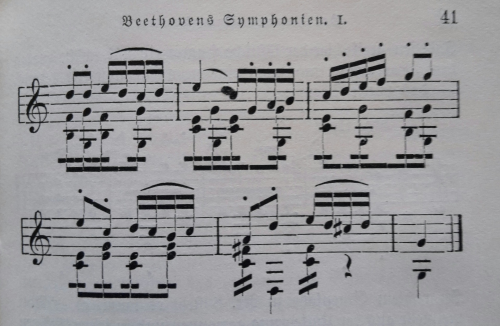 It was the 17th century the one that marked the beginning of the symphonic period as we know it, with specific musical compositions thought up for large numbers of musicians starting to become more popular. This was a change from the chamber orchestras and the ones that used to play at grand receptions. And in the 18th century, the trend caught on. This is the time of composers such as Haydn, Mozart, Bach, and Beethoven. An orchestra is a musical ensemble composed of a large number of musicians. There are two types of orchestras depending on their size: a chamber orchestra and a symphonic orchestra. The chamber orchestra has around 50 or less musicians and they mainly play string instruments. As you may have figured out from the name, the chamber orchestra is usually employed in small concertos, like “chamber” events, such as a ball or reception. A symphonic orchestra, on the other hand, can employ more than 100 musicians and they perform in large concert halls. The music they perform is symphonic as they have all the instruments for it. You will most likely hear about symphonic and philharmonic orchestras. Note that the two words have the same meaning, as philharmonic means love of the combined sounds, of harmony. The terms are normally used when a city has two orchestras and they need to tell each other apart. So what is the difference between a symphony and an orchestra? Plainly put, the symphony is a musical composition, whereas the orchestra is a musical ensemble. The connection between them is that only a symphony orchestra could perform a symphony because it has all the instruments for it.